Though clearly committed to combating terrorism, "the Indian government's counterterrorism efforts remained hampered by its outdated and overburdened law enforcement and legal systems," said the US Department of State's annual Country Reports on Terrorism 2009, which was released on Thursday. 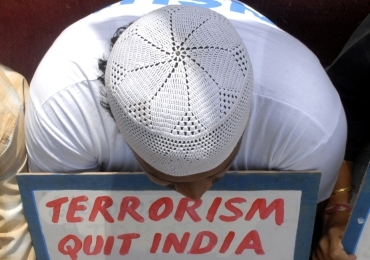 The report, which acknowledged that "India was the focus of numerous attacks from both externally and internally based terrorist organizations, said, "In the wake of the Mumbai terrorist attacks of 2008, India's Parliament has introduced bills to restructure its counterterrorism laws and established a National Investigative Agency to create a national-level capability to investigate and prosecute acts of terrorism." After the 26/11 attack, it said New Delhi had "increased its bilateral and multilateral cooperation with foreign governments on counterterrorism. Senior Indian government officials, including the Home Minister P Chidambaram, visited the United States to advance bilateral counterterrorism cooperation, culminating in the conclusion of the US.-India Counterterrorism Cooperation Initiative during Prime Minister Singh's official state visit in November." In its section on the South Asia overview, the report, which replaced the previous annual Patterns of Global Terrorism reports in 2004, said, "Already plagued by terrorism, South Asia experienced more violence in 2009 as terrorists expanded their operations and networks across the region and beyond." "In response, the United States worked to increase counterterrorism cooperation with its partners in South Asia. Progress was limited because of combination of political unrest in the region, weak governments, and competing factions within various South Asian governments," the report said. 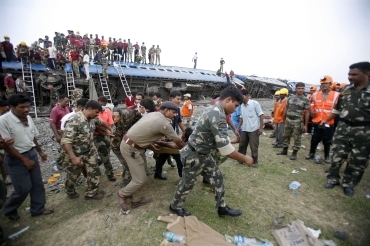 India remained one of the countries most afflicted by terrorism with over 1,000 deaths attributed to terrorist attacks in 2009, primarily in Kashmir, the North East, and the Maoist affected "Red Corridor," the report said, and added: "India continued to face persistent and significant external threats from groups including LeT, Jaish-e-Mohammad, and Harakat-ul-Jihad-i-Islami-Bangladesh. Although there were no large-scale assaults similar to the November 26, 2008 attacks in Mumbai, senior government officials warned that India remained at risk on the basis of the volume of credible threats the government continued to receive." 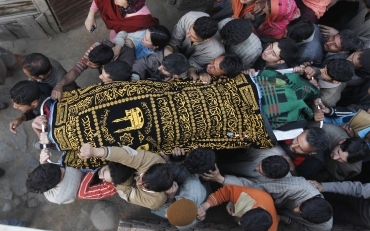 "The state of Jammu and Kashmir, historically victim to the largest number of foreign terrorist attacks, saw casualties decline significantly from previous years," the report pointed out and said, "The Ministry of Home Affairs reported that 71 civilians and 52 members of the security forces were killed in terrorist-related violence in the state through November. Home Minister P Chidambaram reported to Parliament in December that 700 foreign insurgents were active in the state, down from 800 earlier in the year." The report noted that Dr Singh had told Parliament that Maoists/Naxalites insurgent groups represented the most significant threat to domestic security, and noted that these " Maoists/Naxalites conducted numerous attacks against police and local government officials and bombed railways, killing civilians and disrupting services." But it said, "No American citizens were victims of Maoist/Naxalite-related terrorism during the year," although "foreign companies were reportedly targeted for extortion." In June, the report said, "The central government banned Maoist/Naxalite groups under the Unlawful Activities Prevention Act of 1967. Chief ministers from the most affected states agreed to cooperate with the MHA to launch joint operations against the Maoists/Naxalites along inter-state borders. MHA established counter-insurgency schools for police officials in Assam, Bihar, Chhattisgarh, Orissa, and Jharkhand. The central government deployed additional security forces in Chhattisgarh and Orissa, and announced plans to deploy to eight additional states." Meanwhile, it noted that "Ethno-nationalist insurgent groups remained active, particularly in the North East. The ULFA, a domestic terrorist group banned by India in 1990, continued a campaign of bombings in Assam state resulting in 27 fatalities this year. On December 2, security forces arrested ULFA Chairman Arabinda Rajkhowa near the Bangladesh border. 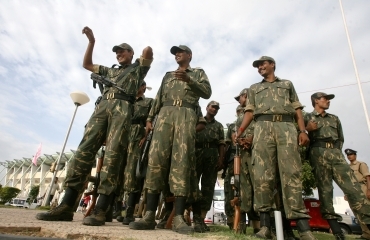 The Assam government offered talks and free passage to ULFA leaders in a bid to make peace with the group. Home Minister Chidambaram reported to Parliament that the central government would agree to hold talks with the ULFA, if the group 'abjured violence.'" In the section on Pakistan, the report said that "the November 2008 terrorist attacks in Mumbai, were attributed to the Pakistan-based militant group Lashkar-e-Tayiba " and noted that the LeT was a designated terrorist organisation before the Mumbai attacks, as was its humanitarian front, the Jamaat ud-Dawa, which Pakistan banned after the attack. The report said that the United Nations Sanctions Committee agreed to list the group and several individuals associated with it. In response to allegations of involvement by LeT in the Mumbai attacks and noted that Pakistani officials cracked down on an Le T camp in Muzzafarabad and arrested or detained more than 50 LeT or JUD leaders in Punjab and elsewhere in Pakistan, "but it subsequently released many of them and LeT remained a serious threat to Western interests." It said, "Pakistani officials pledged to prosecute all individuals in Pakistan found to be involved in the Mumbai attacks and offered to share intelligence regarding the attacks with the Government of India," but noted that "at year's end, however, peace talks between Pakistan and India remained frozen amid Indian allegations that Pakistan was not doing enough to bring the terrorists to justice." 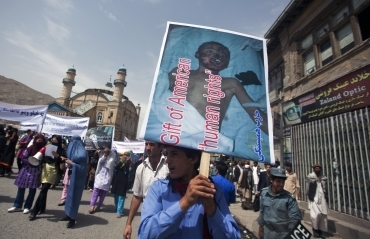 In Afghanistan, according to the report, "The Taliban-led insurgency remained resilient in the south and east and expanded its presence into the north and west. Although the insurgency absorbed heavy combat and leadership losses, its ability to recruit foot soldiers from its core base of rural Pashtuns remained undiminished. Al-Qa'ida provided some facilitation, training, and funding while maintaining its safe haven in Pakistan." "Pakistan continued to suffer from rising militancy and extremism. The Federally Administered Tribal Areas (FATA), Baluchistan, the North West Frontier Province, southern Punjab, and other parts of Pakistan continued to be used as safe havens for al Qaeda terrorists, Afghan insurgents, and other terrorist groups," it noted. 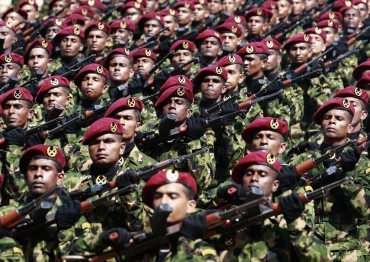 Meanwhile, in Sri Lanka, the report said, "In spite of losing the war on the ground in Sri Lanka, the LTTE's international network of financial support was suspected of surviving largely intact." It also said, "The Sri Lankan government was criticised for using former LTTE paramilitary organisations that relied on abduction, extra-judicial killings and other illegal tactics to combat the LTTE and their suspected sympathizers. As the military recaptured the remainder of the LTTE-held territory, the LTTE reverted increasingly to more asymmetrical tactics, including suicide bombers and other terrorist attacks, some of which caused serious civilian casualties." US Trident sub stocks more nukes than India! War log leaks: Can US make Pakistan behave?